Flat Hangers Flat wooden hangers offer the ultimate combination of form and function. Rich wooden hangers are the same thickness as plastic hangers. 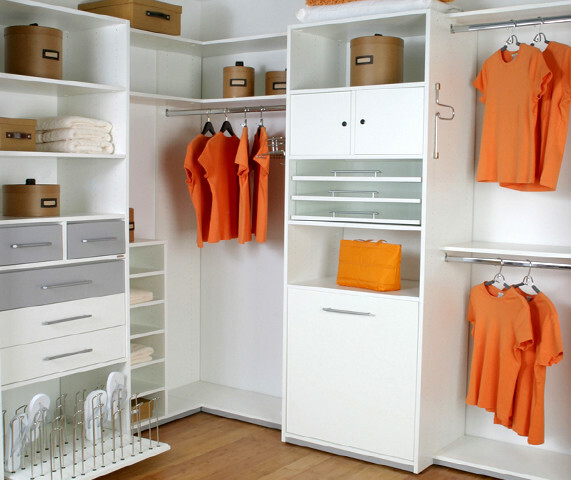 The space saving design allows for the maximization of your closet and are the perfect solution to most of your hanger needs. Mix and match finishes for an eclectic look or choose a single finish for a more tailored style. Curved Hangers The full-bodied styles of our curved and semi-curved hangers are the ultimate luxury. Perfect for suits and jackets the hangers maintain the shape of your garments by mimicking your body's shape. Add these to your coat closet and your master suite. Metal Hangers Strongly crafted polished steel hangers feature space-saving sleek bodies. These contemporary style hangers are perfect for all types of garments and will last you a lifetime. Plastic Hangers Durable heavy-duty plastic hangers feature space-saving bodies and polished chrome hardware. These high quality, low cost hangers will last you a lifetime. Satin / Velvet Hangers Satin Hangers and Velvet Hangers bring texture and add intrigue to your closet. Satin padded hangers feature polished brass stems to keep your garments firmly in place. Accented with a matching bow these hangers are perfect for lingerie, pajamas, and robes. Velvet Hangers are finished with chrome hardware and have space saving bodies. Cedar Hangers The woodsy clean scent of cedar keeps clothes fresh and moths at bay. These richly crafted hangers come in a variety of styles and are the perfect accessory for the well-dressed closet. Children's Hangers From whimsical to functional, these well-crafted hangers come in a variety of sizes to accommodate a variety of ages. From the 10" infants hangers to the 11-12" kids and the 14" junior hangers the fun characters, rich woods, quality plastics, and plush satins offer a range of hanging options. These hangers make wonderful gifts.